Men have plenty of role models as inspiration along their (career) path. For women, however, there is a lot of catching up to do – at least according to Lu Li. And she is making a contribution with her network platform, Blooming Founders. How does Blooming Founders support women in the startup scene? The first thing we want to do with our community is to help women find their way into the startup scene in the first place. To do so, we host all kinds of events with female founder panels where women are able to talk about their personal startup journeys and pass on their experience. Our goal is to create role models as a response to the saying: “You can’t be what you can’t see.” These role models should inspire women to make their own way into the entrepreneurial world. So it all started with events. But now with Blooming Founders, we have also created a community – a kind of network. 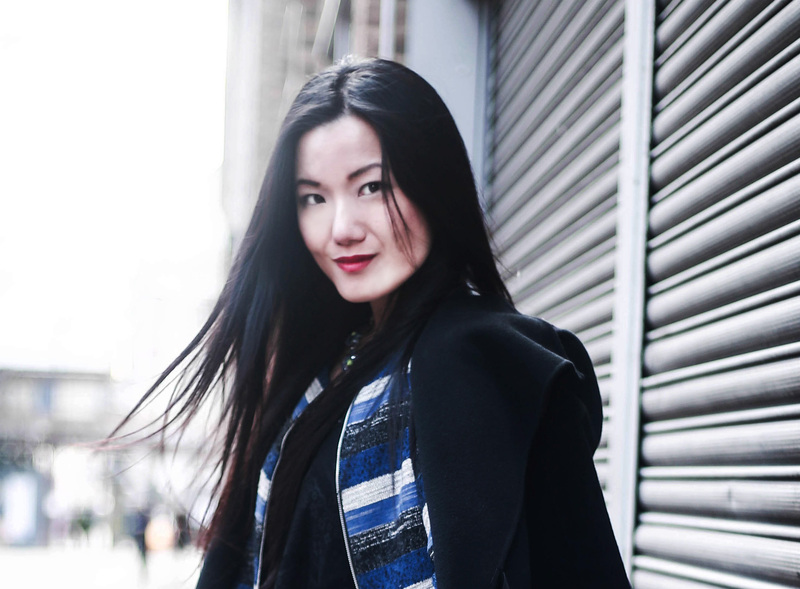 I realized that many women in London were solo founders. That means that they implement their ideas independently and take the first steps on their own. That, however, is exactly what can be a disadvantage when starting a company. There are so many aspects that need to be taken care of in the beginning, and that is what makes a competent network so important. With that in mind, the aim of Blooming Founders is to act as an online think tank for female entrepreneurs. Everyone brings along their own professional experience from which others can then benefit. If someone needs help, then they say so in our open forum. An example might be if someone is looking for the right freelancer or needs initial feedback to make a concrete decision. One really important factor for us is for Blooming Founders to remain strictly a support forum, meaning that it is not to be used for self-promotion. That is why we take a careful look at our applicants before they are given access to the community. Do women really need a custom-tailored platform? On average, women have a smaller professional network. And even when women are well connected, they do not take advantage of their contacts as often as men. Many go back and forth about approaching others with their needs, which can cause them to lose valuable time. That can then have a negative effect on starting a company. 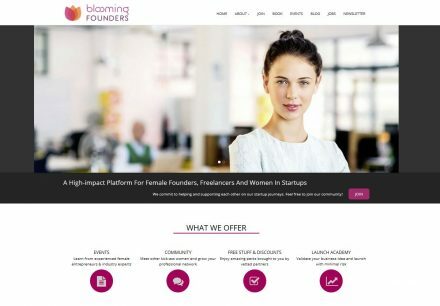 Blooming Founders offers a network of invaluable contacts: women in similar situations who can mutually help one other. Moreover, many feel that a women-only forum provides a space where they are freer to act and ask questions. If a special space is necessary to act freely, does that mean women should learn to be more assertive in a business world dominated by men? I would not put it that way. It always depends on an individual’s personality. Some women can work extremely well with “alpha males” and assert themselves in that kind of environment, while it can be more difficult for others. The most important thing is to remain authentic. A startup can be a good solution for many women, because being entrepreneurs allows them to finally pursue their own ideas and strengths. Do you think that legal regulations are necessary for women to improve their position in the business world? I am not a fan of quota systems. However, the conditions for coordinating professional and family life could definitely be improved. That being said, I do think that startups can be great for mothers. As entrepreneurs, women are able to plan their own (work)day instead of having to fit into a framework determined by someone else, such as fixed office hours. That certainly does not mean that you work less; in fact, the opposite is more likely to be true. Everything has its advantages and disadvantages. This is exactly where an active community can help. It provides a space where you meet up with women who are dealing with similar challenges, and perhaps with some who have already made a bit of headway. These women might have already taken those first steps and developed their first products. They often become the best mentors you could possibly find. We always learn the most from people who are one or two steps ahead of us. What do you have planned next for Blooming Founders? Our community currently includes roughly 1,100 founders. The majority are from London, but we are also represented in over 25 different countries. The network platform will continue to grow in the future. I would love to have more members from Germany! In late 2017, we plan to host a two-day conference in London. Our major goal is to open our own co-working space in London within the next 18 months. It will definitely be exciting!